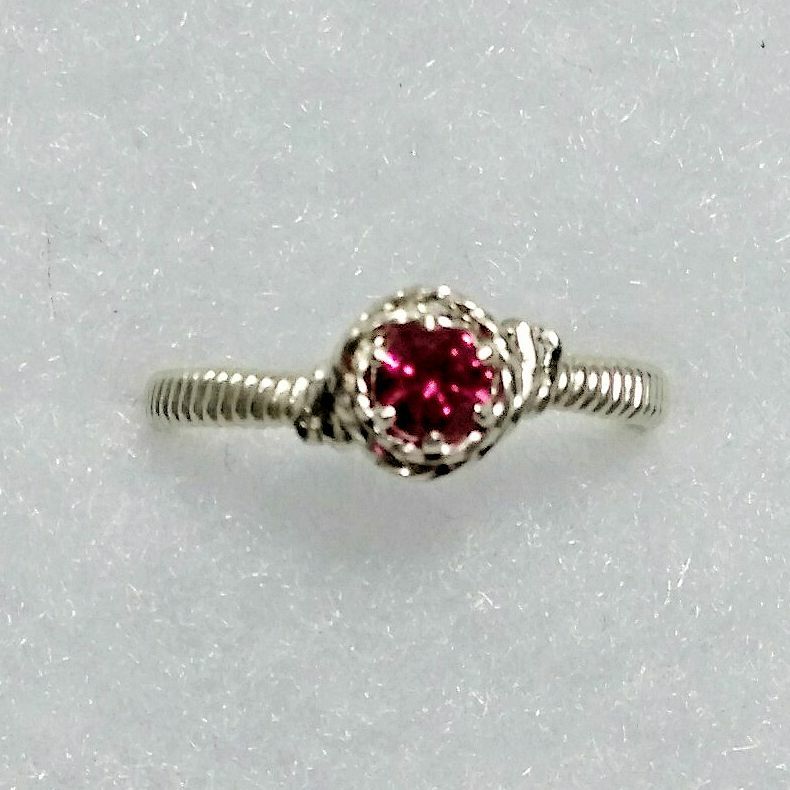 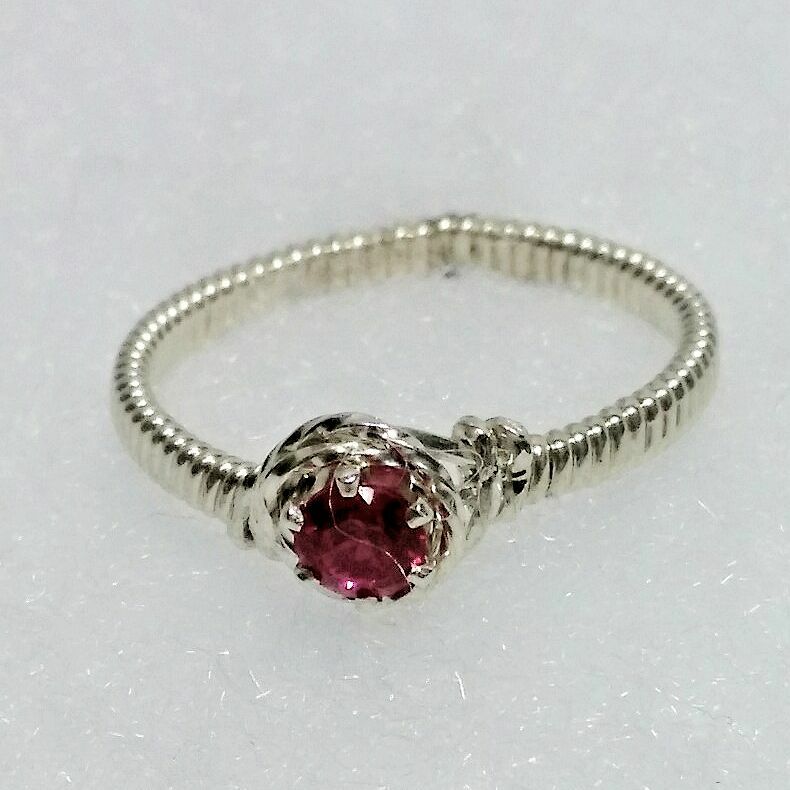 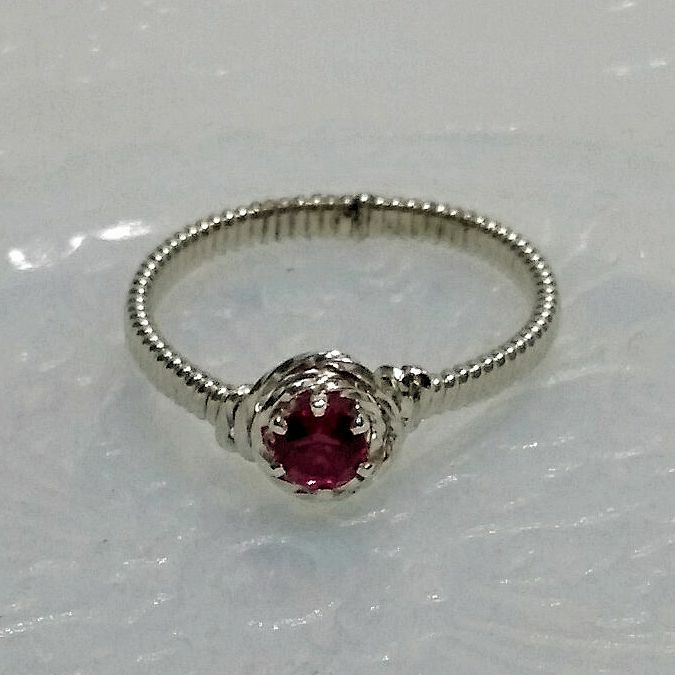 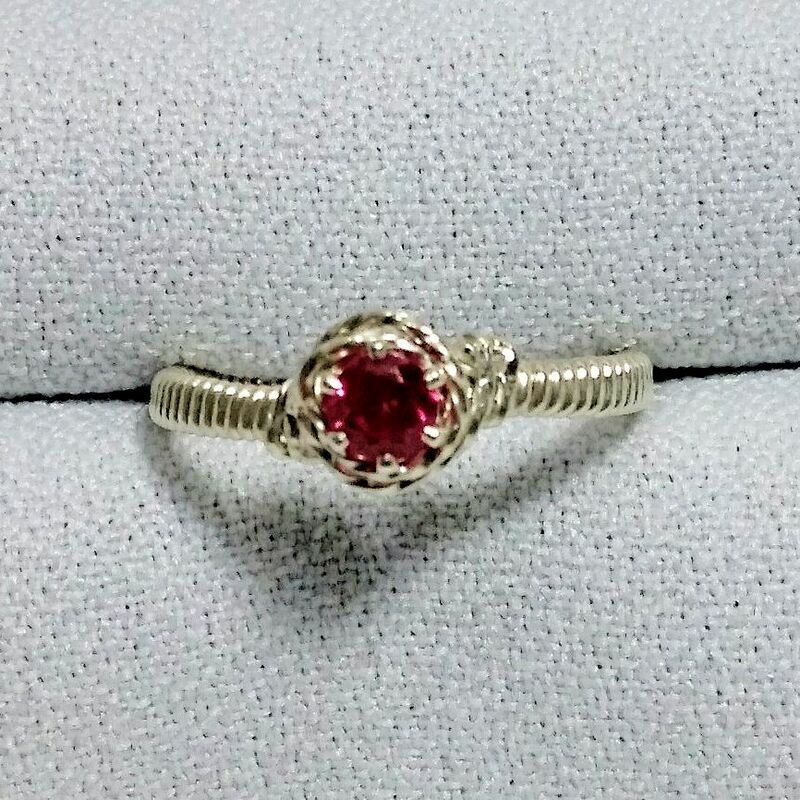 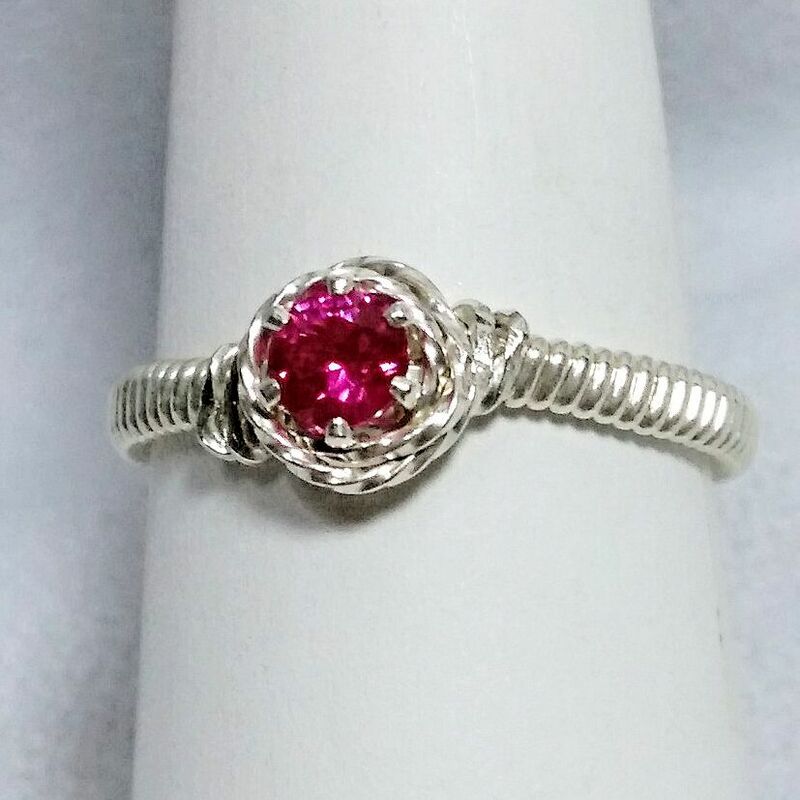 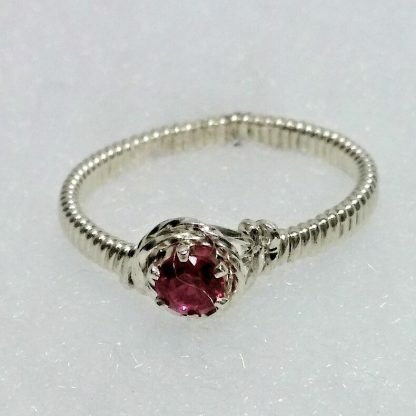 This handmade birthstone ring is wire wrapped in Sterling Silver wire. 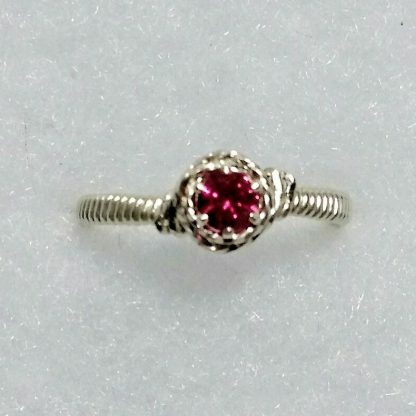 The stone is a 4mm lab grown faceted Ruby set in a Sterling Silver snap-set. The band is wire wrapped in Sterling Silver wire. 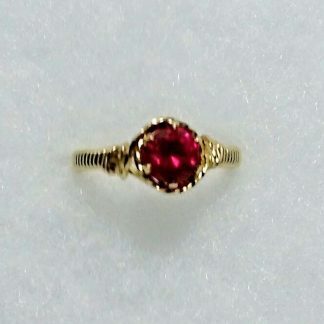 Ruby is the stone for July. 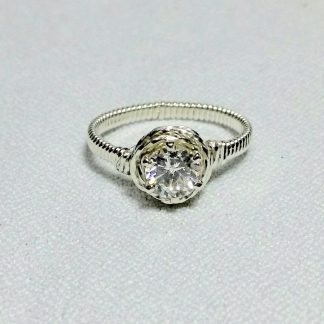 The size on this ring is size 7. 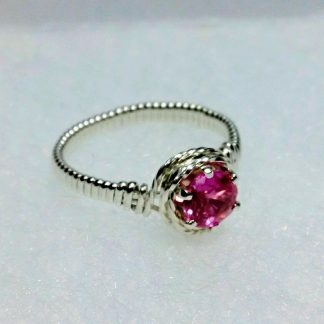 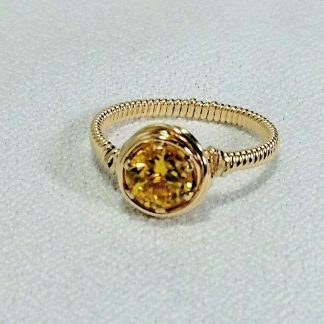 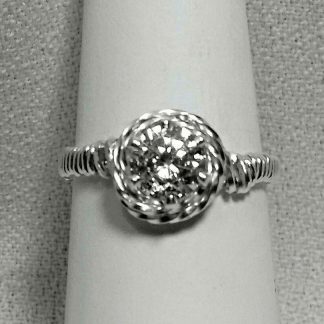 This ring can be made in other sizes by request.